Whitehead Commercial Interiors have been providing bespoke interior solutions for commercial clients since 1991, when they were known as Ian Whitehead Contract Furnishing. Since then, they’ve developed an enviable reputation and are well-known in the industry for their unerring attention to detail, which enables every client’s vision to be fully realised. Over the years they’d developed a number of subsidiary brands and they turned to the Backroom for help in bringing all these under a single brand name – Whitehead Commercial Interiors. We were invited to review all the company’s branded materials, and we started by developing a new identity and introducing a strapline. We presented a fresh, new brand identity which was design-led yet accessible, with strong visual elements that would allow the quality of their work to shine through. 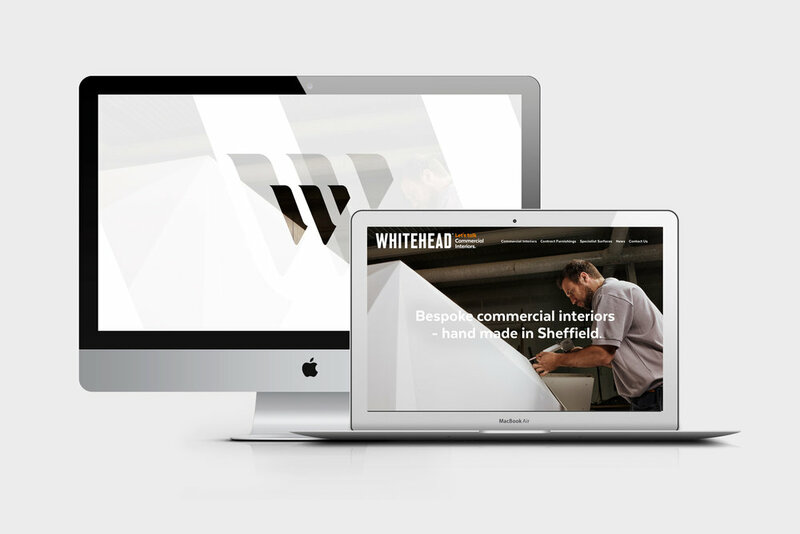 The rebrand was followed by the design and build of a new website for Whitehead Commercial Interiors. The attractive and contemporary new site allows them the freedom to update and add new content themselves, which had been a source of frustration with their previous site. It's now the perfect platform to showcase stunning images of their recently completed projects. Lastly, we created a suite of glossy case study brochures to sit alongside the website as a tangible design portfolio. Just like Whitehead Commercial Interiors, we pride ourselves on high design standards and exceptional attention to detail. The result is a brand identity and materials which are just as bespoke, detailed and exceptionally finished as their own projects.